Teaching correct movement is extremely important, especially with squats. If we train without focus on the correct muscle activation players will still get stronger, but they will be strengthening their misalignments and imbalances. How many kids are taught proper form from their first squat on? I’m talking just a simple body weight squat. It should be engrained in their head that knees shouldn’t go past their toes. 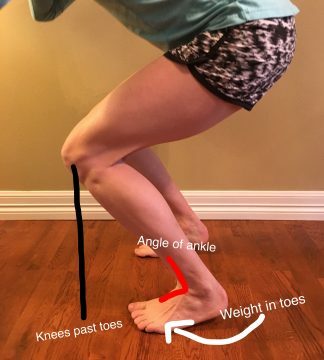 They should know that their knees should track in line with their toes and shouldn’t cave in or out during any point of the movement. Not only should they know this, but they should be able to perform it without having to think about it. Are they taught that their glutes should be the primary lower body accelerator, decelerator and stabilizer? Have we taught how to recruit their glute if they are feeling their quads doing more of the work? Have we taught that they need proper glute activation to function, in order to jump higher, lessen strain on their knees and to be the foundation for their lower back? Is the player knee loading or hip loading? Are they naturally dropping back into their hips, or forward onto their knees. Are they glute loading or quad loading? If they did 1,000 squats what muscle would be tired first, their glutes or quads? How are their knees tracking? Do they collide in or out, or do they track straight? We will keep it simple and focus on those three main things. We’ll start with knee vs hip loading, it’s easier to see, and a little easier to fix. Plus it is extremely difficult to fully recruit glutes if they are knee loading. 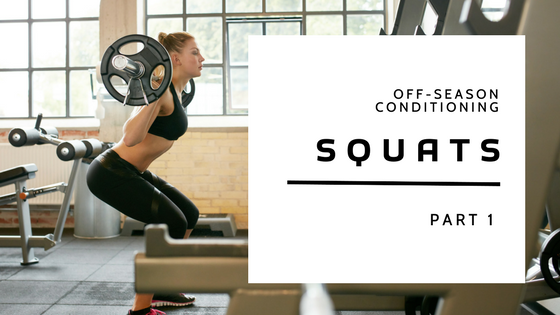 We want to hip load when we squat. When doing a squat, if strain is felt in the knees at all, players are likely knee loading more than hip loading. Have your player squat. Don’t cue them on anything; just have them squat as they naturally would. Walk around and watch from different angles. From the side will be the most beneficial aspect for this assessment. Front will give you a little insight as well. From the front – The player’s shins should be almost completely vertical. Knees should be behind the toes. If their knees are sticking out past their toes, this is bad! 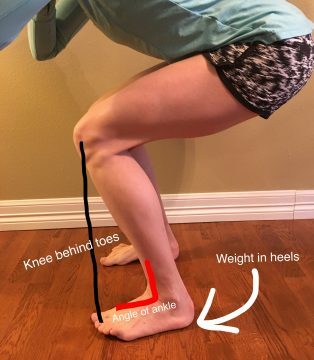 From the side – Look at the angle of their ankle. This angle should be close to 90 degrees. If it is smaller than 90, their knees are going too far forward, and they are knee loading. Where does it look like they are distributing their weight more, heels or toes?